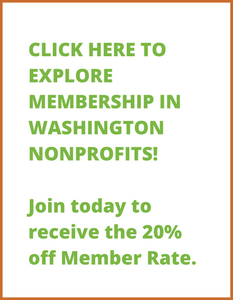 Members of Washington Nonprofits receive 20% off the cost of registration. Members will receive a separate email from us with the discount code and it can be found on the members only resource page. You will enter the code at the very close of registration. You are welcome to also email us for the member discount code anytime.